The range of doors available these days can make your home stand out from the street, with a coloured, Composite Door, or just offer that extra peace of mind for security you are after. We understand that homeowners want to feel safe and secure in their homes and, therefore, provide uPVC doors that can suit any home exterior and offer that security. We’ve been providing uPVC doors for over 35 years to domestic, trade and commercial. 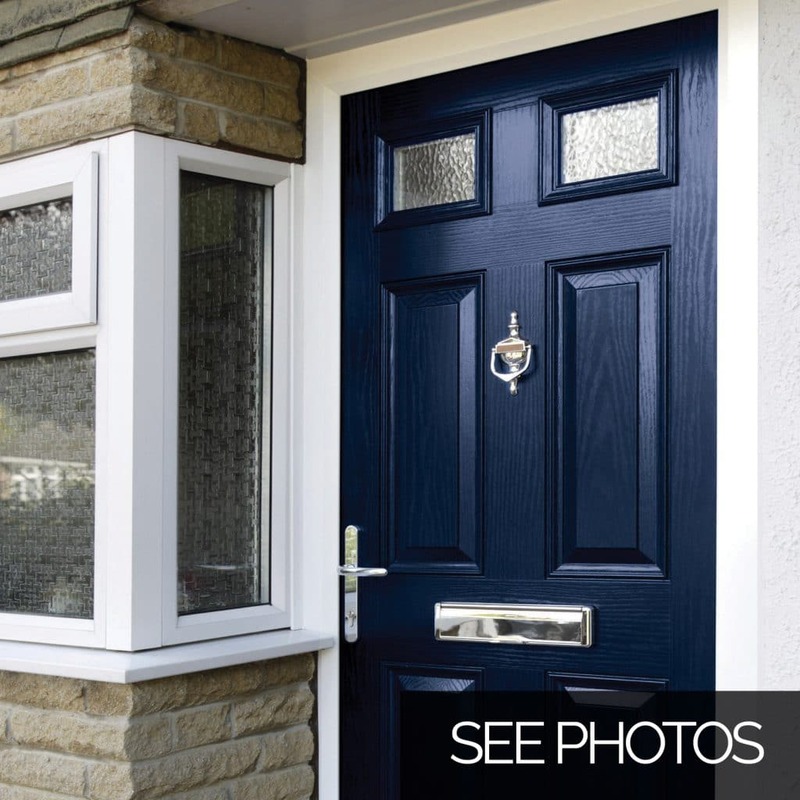 At South Coast Home Improvements, we supply and fit both UPVC back doors and front doors that ensure you are happy and that your home secure and looking good for many years to come. The back of the house is also an important security factor as if you have a conservatory, for example, you need to ensure that access is just as secure as the front. The most suited door style here is double glazed Patio Doors with fitted anti-lift devices. If you have space in the conservatory or at the back of the house, a lot of homeowners look at French Doors as these can be double the width of a standard door and increase access as both doors can open. These doors offer maximum width as the individual leaves of the doors open back against the outer frame, creating a wide opening. Also Bifolding doors are also popular in conservatories as more space is created to the outside. South Coast Home Improvement we supply and install a wide range of uPVC doors within the Surrey, Sussex, Kent and Hampshire area. For maximum width open space the only choice is a bi-fold door, these allow all door leaves to slide back against the outer frame giving almost a full width opening. If a coloured door is your choice check out our superb composite range. This excellent range of doors offers many colour and design options. Double glazed French doors have all of the benefits & variations of single casement doors, but can, of course, be double the width. Ideal for an alternative to patio doors.